Looking to lighten your load while traveling? Then check out the i’m Watch. This ‘smartwatch’ communicates with your smartphone to display messages and calls that you receive so you can leave the phone in your pocket, in your purse or on your desk. First there was the smart phone, then the tablet, and now the most innovative product yet- the i’m Watch. This 'smartwatch' communicates with your smartphone via Bluetooth and alerts you to new e-mails, SMS, and notifications without ever needing to take your phone out of your pocket. The i’m Watch also has the capability to add apps so you can play games, take notes, or hire taxis- all from the convenient location of your wrist. 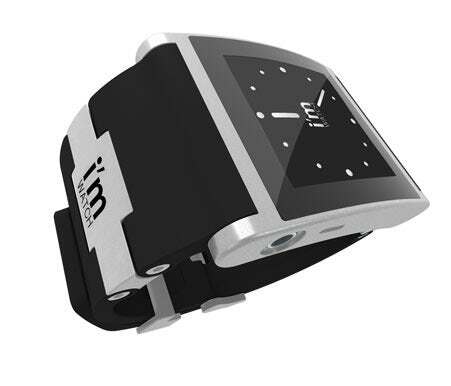 The i’m Watch allows you to download music as well, just plug in your headphones (or use wireless) and listen anywhere.The i’m Watch is made in Italy to a high specification, providing you with a smart, quality product that makes your life easier. For more information about the i’m Watch, contact us now.